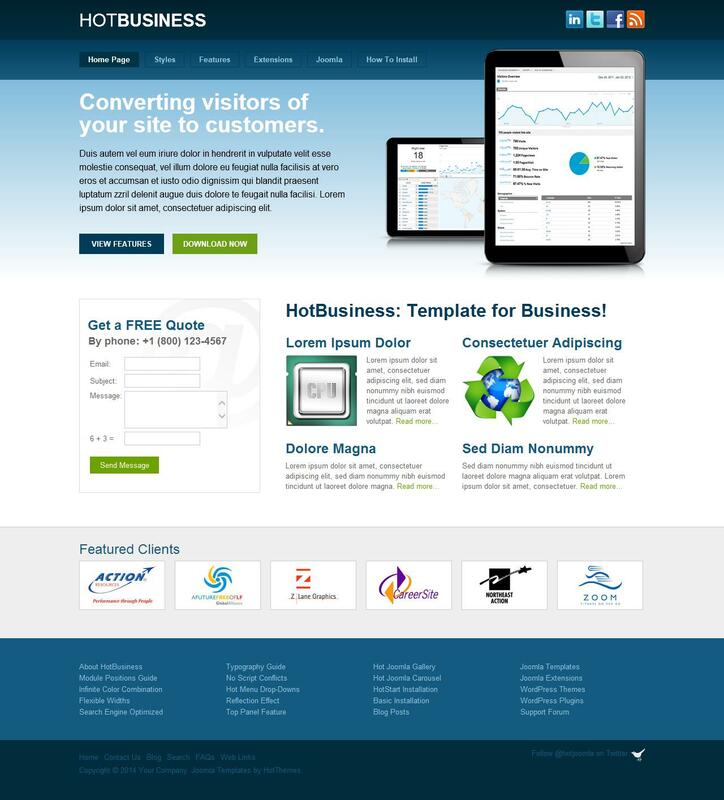 HOT Business - lightweight and stylish business template developers HotJoomla, which is perfect for creating business websites. This template contains 5 color options the appearance of the site, more than 30 module positions and full support for mobile devices. Built-in tool settings template allows you to completely customize the design and modular layout as required. The composition includes a template club modules Hot Joomla Carousel PRO and Hot Joomla Gallery, designed for a stylish display materials on the site. Perfect for creating websites and business cards sites.